Why can't I retract my reopen vote? On this question, I voted to reopen after the second edit. I later realized that I shouldn't have voted to reopen, but I can't take it back. It seems the functionality doesn't exist. 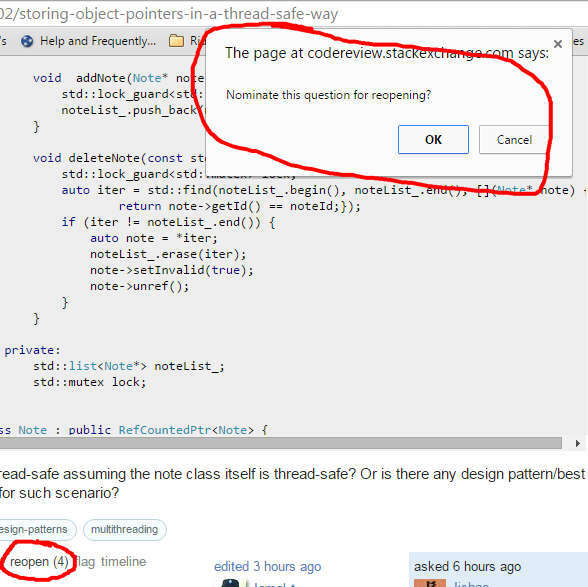 Browse other questions tagged bug status-bydesign vote-to-reopen . 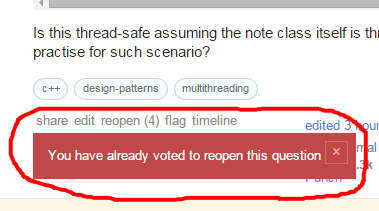 Are mods notified when users edited a closed question? Why was “Get minimum of four and maximum up to a limit” not reopened after the code was fixed?